A while ago we featured a garden themed wedding venue, Eden Lassie, on the blog. Today we're looking at Talloula, a contemporary and stylish venue, using our wedding venue checklist. We hope you enjoy our wedding venue reviews and if you ever interested in a particular venue, let us know, we'll be happy to put it through our checklist. With that out of the way, let's take a look at Talloula. The chapel overlooks the surrounding dam and wetland area and has white exposed wooden beams across the ceiling with open sides. Essentially you get the best off both worlds; a roof over your head in case it rains with open sides to welcome in the outdoor scenery The chapel can seat 200 guests on elegant white Tiffany chairs and opens up onto a large flat grassed area which is perfect for a meet and great after the ceremony. What rates can you expect to be paying? 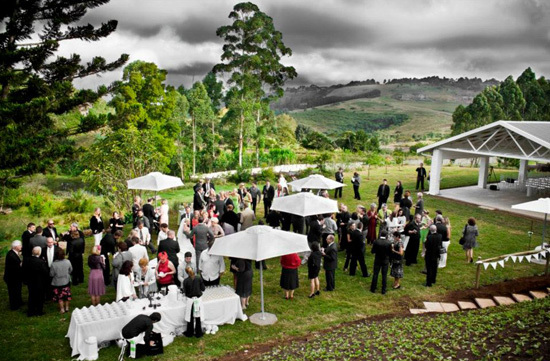 For 2013 you can expect to pay R16 500 (excl vat) for the venue hire. This includes all the table linen, cutlery, crockery, chairs and tables. It also includes an easel for your seating plan, a lectern for speeches, a cake table and a bridal suite including overnight accommodation. You can also benefit from the help of a experienced coordinator for the day. 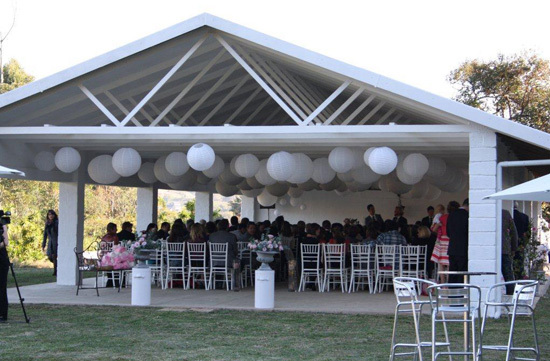 The chapel hire is R3500 (excl vat) and includes white Tiffany chairs with cushions a lectern and a contemporary style white alter table. This rate is for a wedding of 150 or less guests. There is a separate amount for catering which all depends on the type of menu you choose. The food falls under the hands of Chefs Brendon Newport and Bheki Msomi, both locally celebrated chefs. 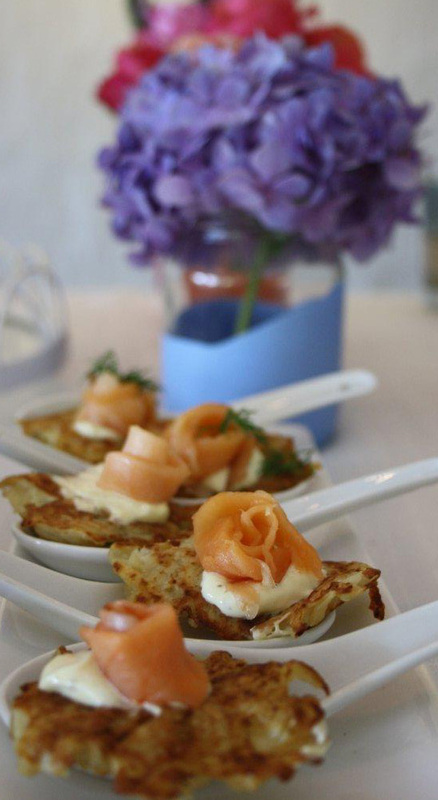 Menu packages range from R270 - R350 per person and pre-reception canapés are from R65 per person. The menu's are very flexible and you can expect a contemporary twist to each meal. Talloula also offers the unique concept of "Entertainment Cooking" where chefs prepare canapés at food bars during cocktail hour after the ceremony. Very chic! Yes, the venue hire fee includes accommodation in their Honeymoon suite which boasts it's own private courtyard. Yes, guests can expect a luxurious, contemporary suite which can accommodate two guests in either twin or king size beds. There are only five suites on site, so be sure to reserve these for your bridal party or close family members. The suites are offered on a bed basis only, but with Treat Cafe on site, a breakfast can easily be enjoyed the next morning. Expect to pay R620 (single) per person or R575 (sharing) per person per night. Yes, due to local by-laws, the music in the venue must be switched off at midnight. An overtime rate of R2000 per hour plus vat is charged for guests remaining at the venue after midnight. Yes, the venue comes with the services of experienced co-ordinator, Lindsay Reid. She will be available on the day of your wedding for last minute co-ordination. In addition to that, Talloula offers a flower and decor service and at an additional cost, you can hire Lindsay your event planner to co-ordinate your wedding for you. They are essentially a one-stop shop where you can get your reception, cake, decor and flowers organised from. A very convenient factor for a time-pressed bride. What kind of size wedding can be had at Talloula? You can have a wedding of between 150 - 200 guests. The reception area is particularly large and so is great for big weddings! Talloula offers various bar options for your wedding day which is great, as they are flexible and accommodating. You can either chose to have a cash bar, a tabbed bar or an open bar. If you go for an open bar, the running tab is updated to a person of your choice on an hourly basis - just so that there are no surprises in the morning! Treat Cafe (see our feature here) is a lovely part of Talloula and is great as a morning-after gathering for your guests,so be sure to invite them over for breakfast. Talloula also do conferences, birthdays, baby showers and any other events, so do keep them in mind. If you are looking for something contemporary and classy, then Talloula is the venue for you. Stemming from their initial business of event planning and decor, they have years of experience in the wedding industry and know exactly what is in fashion now and how to execute your vision beautifully. You can safely trust your entire event in their hands, knowing confidentially that it will be special and a night to remember! All pictures sourced from the Talloula website and Facebook page (links appear at the beginning of the article).